A sleek and seamless temperature display features LED lights that shine through micro-pinholes to display temperature settings. 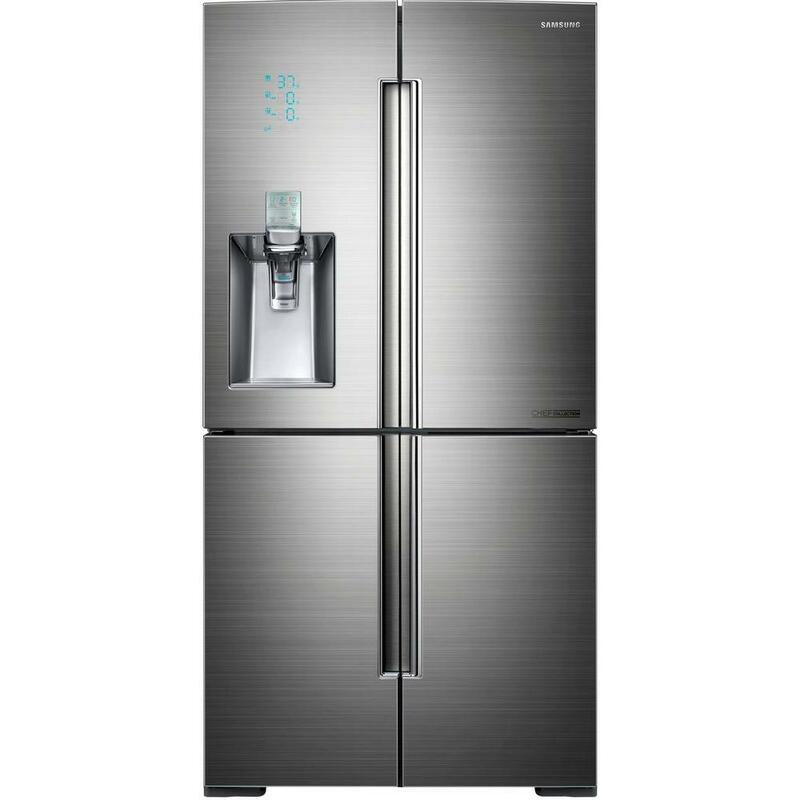 Our 4-Door French Door Chef Collection Refrigerator features the convenience of a built-in, chilled sparkling or still water dispenser powered by SodaStream. Save money, space and create less waste than when buying bottled water. Sodastream 60L CO2 carbonators are available for easy exchange at 10,000 locations.